There are many reasons to consider Uruguay as a retirement destination. Uruguay is a small country; only tiny Suriname in South America is smaller. 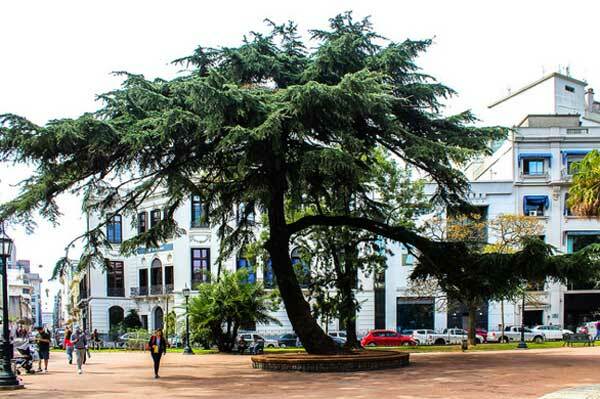 At 68,000 square miles, Uruguay is about the size of the state of Missouri. Its population is small as well, with 1.8 million of its 3.8 million residents living in the capital city, Montevideo. So despite its small size, there is plenty of elbowroom. It is located in the fertile plains and hills south of Brazil and east of Argentina, and has a coast along the Atlantic Ocean and the Rio de la Plata. The geography is very tame, especially by South American standards. No mighty Andes jutting up; the highest point in Uruguay is only 1,686 feet. The countryside is mostly rolling hills, river basins and lakes, and the fertile coastal lowlands—in fact, it is considered some of the most fertile land in the world. Uruguay is also one of the few places in South America that is not tectonically active—no earthquakes or volcanoes. The weather is also very mild. Seasons are reversed in the southern hemisphere, and some expats feel its climate offers the best of both worlds: seasonal changes, but no extremes. The absence of major mountains to set up barriers makes the weather similar over the whole country, as fronts move unimpeded across the land. The temperature is largely uniform throughout the year, the growing seasons long, and winter is not severe. For example, in Montevideo, the coldest months (June and July) average highs of 57 F (14 C) and lows of 45 F (7 C). In the summer, temperatures in January, the hottest month, average only 84 F (29 C), with nights of 64 F (18 C). Rainfall is fairly even throughout the year, usually between 38and 50 inches annually in most regions. Uruguay in many ways resembles a European destination rather than a South American one. Although some of the South American culture remains in the foods and holidays, especially in the countryside, according to the 2011 census, 87.7% of the population claim European descent. Most Uruguayans today are descendant from Spanish and Italian immigrants, who arrived in great numbers in the 19th and 20th centuries. France, Germany, and Britain account for much of the rest, with Argentina also sending immigrants across the Rio de la Plata. As a result, many people come for the city living in the capital, Montevideo, enjoying the European flavor of its many restaurants, cultural events, and social gatherings. Still others come to settle in Uruguay’s vast countryside, with gauchos still tending their herds…or to live the high life at South America’s premier beach resort of Punta del Este. As for the cost of living, although some things are more expensive, overall the expenses of day-to-day life are a little lower than in the U.S. For example, grocery prices average 29.18% lower in Uruguay than in the U.S. Meals in restaurants are slightly lower, but the big savings is in rentals, where Uruguay’s prices are almost half (49.18%) the cost of comparable properties in the U.S. It is also important to remember that while you may not find expats talking about a dramatic decrease in their monthly expenses living in Uruguay, most do report a dramatic increase in the quality of their lives. And it is still possible for a couple to live in Montevideo and have good healthcare on $2,000 a month, especially since you can do without an automobile. Speaking of healthcare, Uruguay has a public healthcare system that acts as a safety net for those who cannot afford a private healthcare plan, but most expats choose to go with a mutualista instead. Rather than an insurance system, the mutualista is more like a membership club with a particular private clinic or hospital system. Plans start at around $100 per month, with a small co-pay at the time of service. Typically, the co-pay for a doctor appointment is around $6, and things like blood tests may run $15. Mostly, those that move here want a fertile country that’s free of conflict; with mild weather, sustainable agriculture, strong infrastructure, affordable healthcare, and a solid financial system. Uruguay is largely unknown among potential North American expats, and you won’t find many of them living here. The majority that are here are working with the diplomatic corps or are stationed in Uruguay by their North American companies. The fastest growing expat group in the country seems to be from Argentina, and it’s become an increasingly popular retirement destination for them due to the comparatively low cost of living and properties. However, in the past few years, more and more North Americans are beginning to take a closer look at the tranquilo lifestyle offered by Uruguay. Here are just a few of the areas most popular with expats. About half the population of Uruguay, and most of the expats, live in the capital city of Montevideo. You don’t need to spend much time there to understand why. Montevideo covers 77 square miles along the Rio de la Plata, and is made up of 62 barrios (neighborhoods), each with its own unique flavor and feel. Consistently rated as the South American city with the “highest quality of life” by the Mercer Quality of Living Survey, Montevideo is a showplace of the way an eclectic mix of cultures can create a place of rich, diverse heritage. Uruguay’s multicultural heritage has given the people a deep appreciation for a diverse range of culture and arts. Montevideo is very much a city of the world, with art museums, ballet, theaters, music halls, and more. Uruguayans enjoy tango, folk music, and waltzes, as well as the African influenced music like candome, milonga, and murga. World-class artists, musicians, and other entertainment regularly appear in Montevideo. Perhaps the most attractive feature of Montevideo is the 14-mile long rambla, a continuous walkway along the waterfront that has parks, bike paths, outdoor exercise pavilions, restaurants, and more. It winds its way around the city and provides access to some of the more popular neighborhoods. Here’s a quick sketch of some of the barrios that expats are discovering in Montevideo. 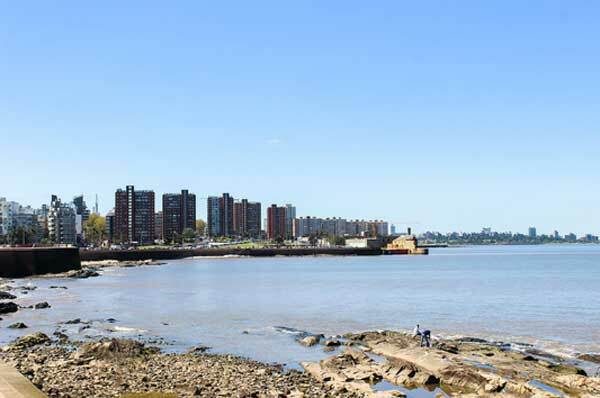 The southernmost point in Montevideo is Punta Carretas, and the neighborhood named for it is one of the most attractive in the city, and not coincidentally, one of the more expensive. Particularly sought-after are the apartments along the Boulevard General Artigas across from the beautiful golf course. The Punta Carretas Shopping Mall has plenty of shops, a food court, several movie theaters, and a major grocery store. This is also a popular spot because it is central to much of the city, on several bus lines, and most parts of the barrio are just a short walk from the rambla. The tree-lined streets also feature small neighborhood groceries, banks, bars, and restaurants. There are some hotels in this barrio, mostly along the rambla, and a mix of single-family homes and condo buildings. A unit in one of the newer buildings may rent for $1,200 a month or more, and it is hard to find a two-bedroom for sale under $300,000. Although right next door, Pocitos has more of a “neighborhood” feel to it than Punta Carretas, with more of the small shops for getting your meats and produce, and plenty of small cafés and lunch spots. In Pocitos, you can find two-bedroom apartments for sale under $200,000, but prices increase sharply as you approach the beach. Like Carretas, homes prices are across the board, with listings anywhere between $250,000 and $600,000 or more. If proximity to the water is not important to you (although you are still less than two miles from the beaches), there are some bargains to be had here. Cordón sits just east of the Centro business district, around the Avenida 18 de Julio. It is home to the National Library, and perhaps because of that, there are an unusual number of bookstores scattered among the businesses and restaurants. This is a neighborhood going through a slow transition, as more and more people are taking advantage of the low costs of some of the older buildings for renovation projects. Rentals are available here at very attractive prices as well, with two-bedroom properties in good locations running in the $500 to $700 range. The “Old City” is surrounded on two sides by the rambla, it has several beautiful squares, there are pedestrian streets lined with art deco buildings of great architectural character, great restaurants and coffee shops with outdoor seating, recurring street mercados, and the popular tourist spot, the Mercado del Puerto. Since 1868 the Mercado del Puerto has been the heart of the old city. Today it is one of the must-see spots of any tourist to Montevideo. Outside are stalls and stores selling all kinds of souvenirs, clothing, crafts, and art work. Inside is more of the same, plus several great examples of the Uruguay’s highest culinary art form—the grill. The restaurants are laid out so that the grills are in plain sight, and they combination of meats and red peppers set out to cook over the wood flames is a treat for the eyes and the nose. Everything you need is in easy walking distance in Ciudad Vieja, which makes it great for retirees on a budget. It is possible to find nice apartments here for $500 a month or even less, and there are some good opportunities available to purchase older buildings cheaply for renovation. If you are not interested in doing the work, there are also recently renovated art deco buildings for sale or rent. Sitting just an hour’s drive east of the capital of Montevideo, Atlántida gets its name because it is considered the beach where the Atlantic Ocean officially ends and the Rio Plata begins. Originally a getaway for the wealthiest Uruguayans, its proximity to the capital has since made it a popular middle-class resort. With only about 5,600 full-time residents, this can seem like a sleepy little town in winter—but its two beaches become very crowded during the tourist season. Punta del Este is a gleaming strip of high-rises, jutting out into the Atlantic. Further inland, there are neighborhoods like Pinares full of single-family homes. The variety of architectural styles reflects the diversity of the European cultures that make up Uruguay’s population. There are two large white sand beaches open to the public, one of which sports the iconic “La Mano” (The Hand) sculpture, also known locally as “Los Dedos” (The Fingers). Four fingers and a thumb poke up from the beach, in what the artist conceived of as the hand of a drowning man to warn swimmers to be careful in the waters. You will also find plenty of shopping, restaurants, casinos, and nightlife. Even in low season, things do not shut down completely on this vibrant peninsula. If you are not interested in the higher-priced, high-rise lifestyles of the point, there are some interesting and affordable options nearby. Punta Ballena is a narrow point that stretches south into the Atlantic parallel to Punta del Este, visible across the bay formed by the two peninsulas. There are condos on the east side that step down the hills, giving all of the residents a terrific vista. One-bedroom condos there start at under $100,000, and larger units between $175,000 – $250,000. 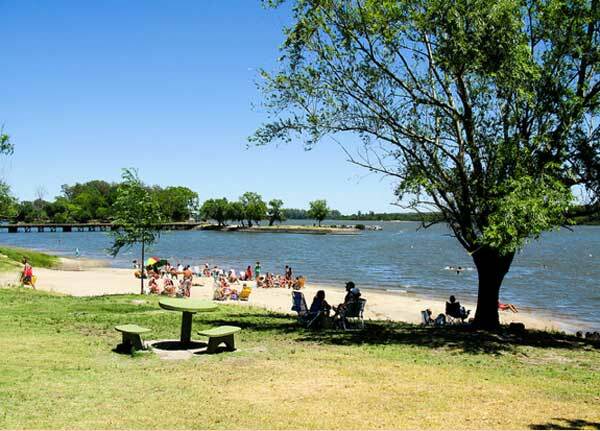 If you like the beach, but enjoy being in the country too, Piriápolis is a great compromise. Situated about an hour west of Punta del Este, you drive through some beautiful farm land and ranches to reach this charming community. Piriápolis lies between this fertile region and the sea on the arc of a shallow bay, giving you the Atlantic Ocean on one side, and rolling green hills on the other. The rambla (walkway by the beach) is adorned with white Greek-style columns, and follows the beach for two miles, ending at the Piriápolis Yacht Club. Strolling along this brick walkway under the palm trees, you can enjoy the sea breeze and the belle-époque architecture of the city. The majestic Argentino Hotel, which at the time of its construction was one of the largest in all of South America, and the rounded tower of the Hotel Colón are just two of the most recognizable landmarks. Behind the yacht club, you can see the pink towers of the chair lift up to Templo de San Antonio marching up the hillside. Uruguay truly has a lifestyle and a region for everyone, depending on what you’re looking for in the way of a new life abroad. Whether you want to live downtown in a world capital, in the heart of an old colonial city, in one of the world’s famous beach resorts, or on a sprawling ranch in the heartland, you can be sure that Uruguay has a place for you. Are you searching for beautiful beaches, four distinct seasons, affordable real estate, and quality healthcare at a reasonable cost? It may seem like a lot to ask for, but here at International Living we have just the place for you. These expats love their life in Uruguay and you can join them. Enjoy mild seasons, walks on the beach, quality healthcare, friendly locals and much more in Uruguay. 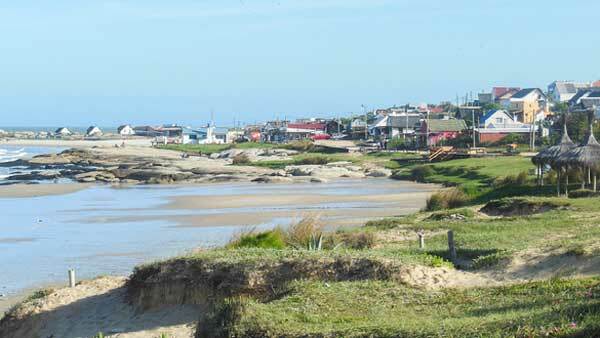 See below for 10 reasons why you should consider a move to Uruguay.